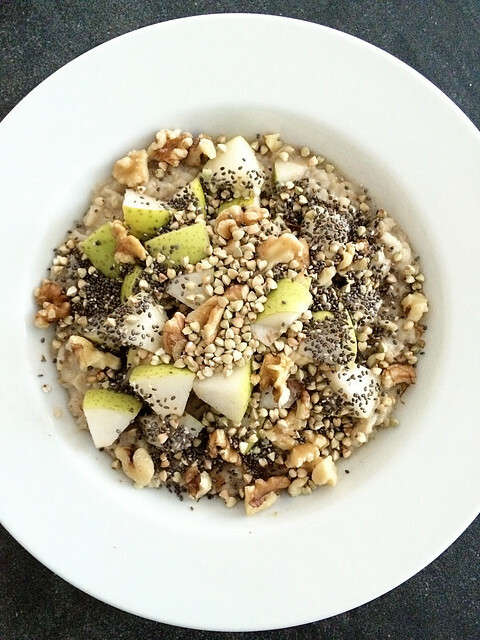 Breakfast: Oatmeal sweetened with maple syrup and spiced with cinnamon and a pinch of cardamom, diced pear, walnuts, chia seeds, and buckwheat groats. Not pictured: a cup of black coffee. 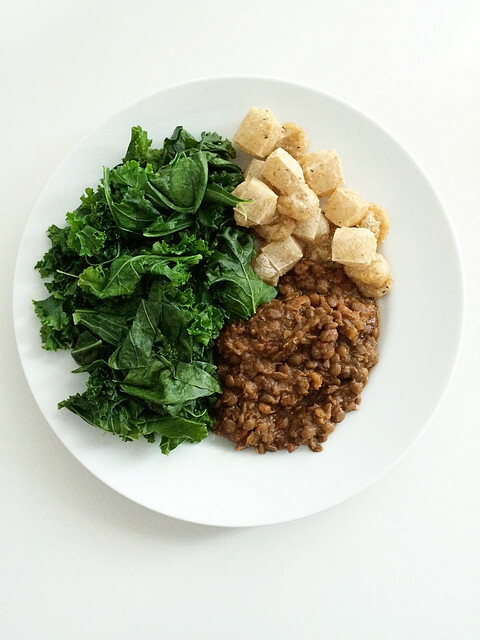 Lunch: Leftover lentils, roasted garlic sesame mochi, and lightly steamed kale and collards. 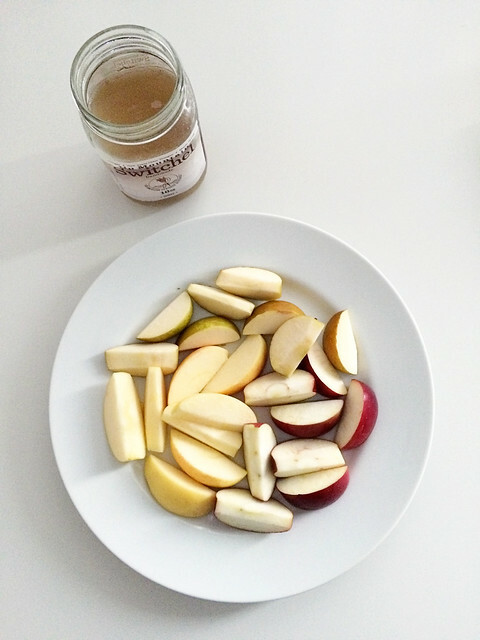 Snack: Three apples of three different varieties and a jar of switchel. 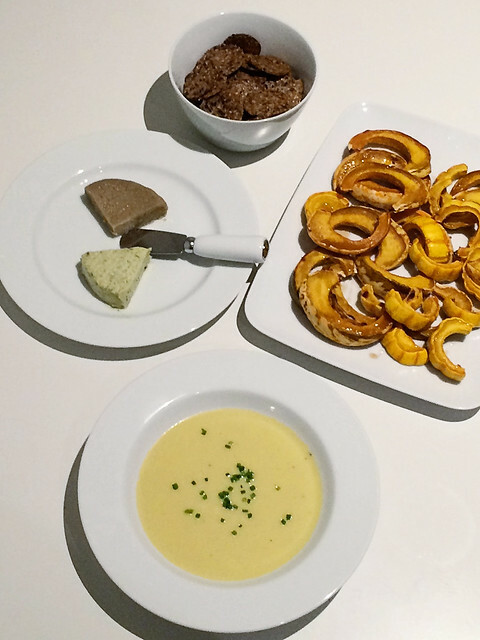 Dinner: Potato leek soup, roasted carnival and delicata squash drizzled with maple syrup, and Miyoko’s Kitchen cheeses (the High Sierra Rustic Alpine and the Double Cream Chive) with Mary’s crackers. 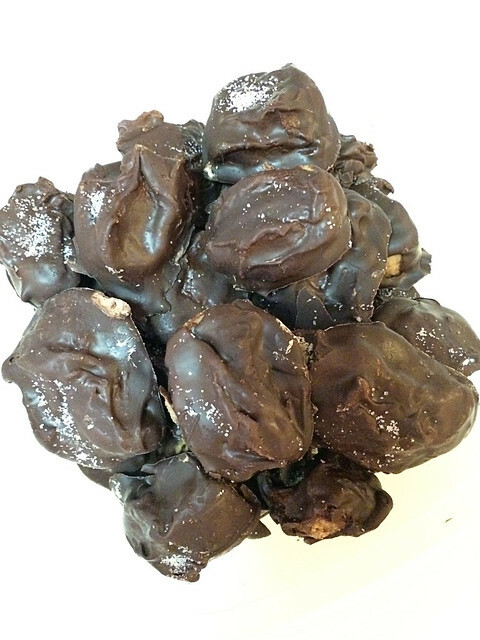 Dessert: A couple of these chocolate covered almond butter bites, courtesy of my mother-in-law.